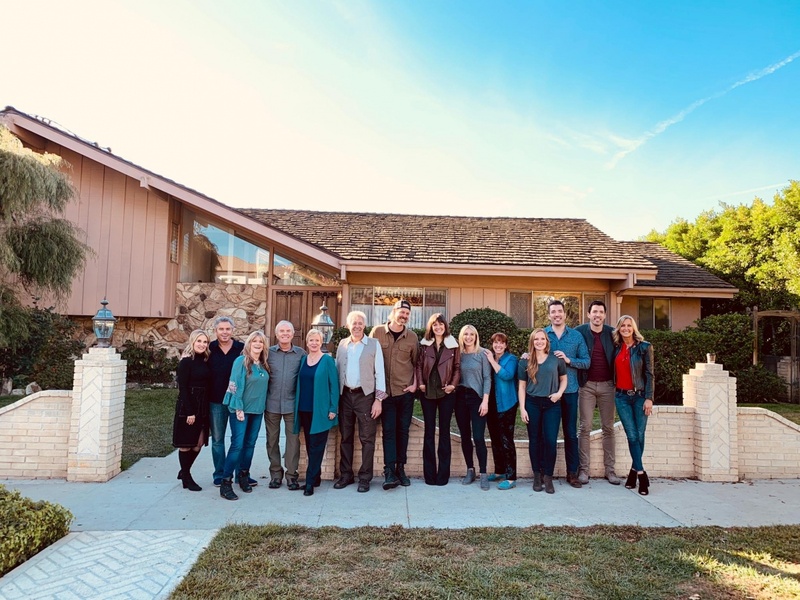 HGTV posted on Twitter a new photo of the stars of "The Brady Bunch" standing in front of their former sitcom home in Studio City, California. "It's a sunshine day as we kick off A Very Brady Renovation," the image is captioned. Appearing in the snapshot are Maureen McCormick (Marcia), Christopher Knight (Peter), Susan Olsen (Cindy), Mike Lookinland (Bobby), Eve Plumb (Jan) and Barry Williams (Greg). "The Brady Bunch" show initially ran 1969-74, spawned numerous spinoffs and parodies, and remains popular in re-runs. The network said it purchased in August the split-level ranch house used for exterior shots on the show and plans to renovate the interior to reflect the way it looked on the sitcom, which was taped in a television studio. The transformation will be documented in a series called "A Very Brady Renovation," which is scheduled to premiere in 2019. The new show will feature HGTV stars Jonathan and Drew Scott, Mina Starsiak and Karen E. Laine, Leanne and Steve Ford, Jasmine Roth and Lara Spencer, as well as celebrity guests. "What's so exciting about this project is that we are creating one of the most iconic homes from many of our viewers' childhoods," said Loren Ruch, senior vice president of HGTV programming and partnerships. "It will be the first time in history that the house from all of our memories will be created in a real brick-and-mortar location. It is certain to be a trip down memory lane."